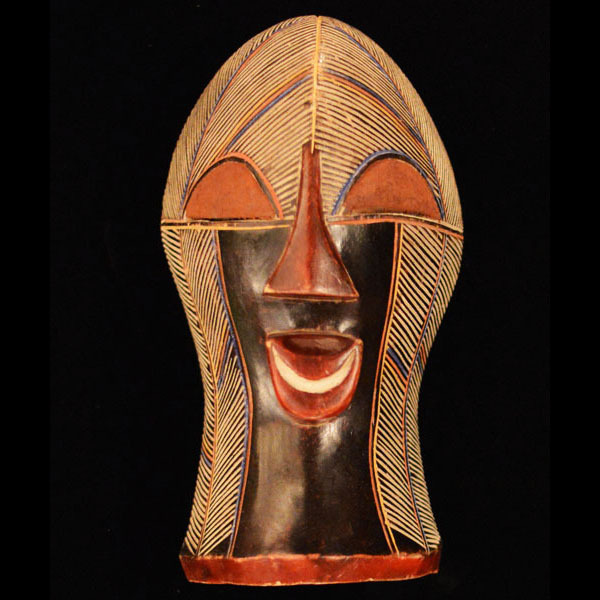 African Masks and art of the Songye. 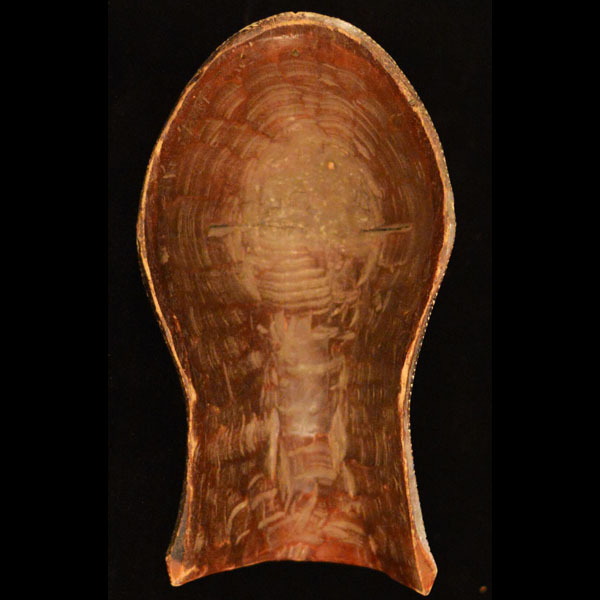 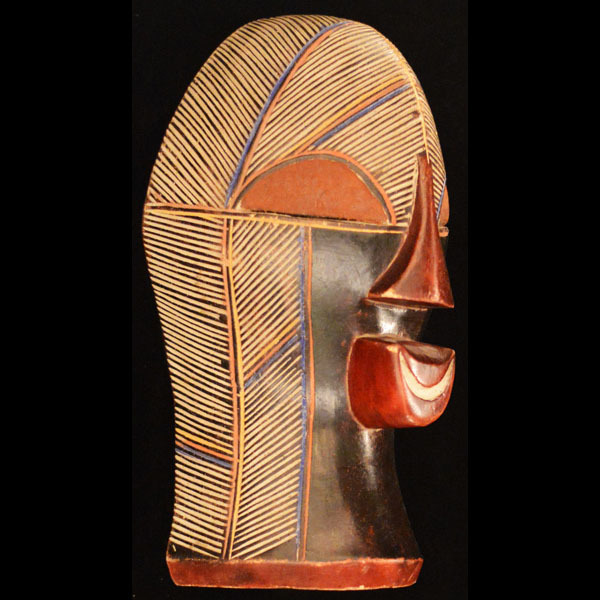 This African Mask from the Songye people of the Democratic Republic of the Congo measures 15.5 inches tall, 8.25 inches wide, and 7.5 inches deep. 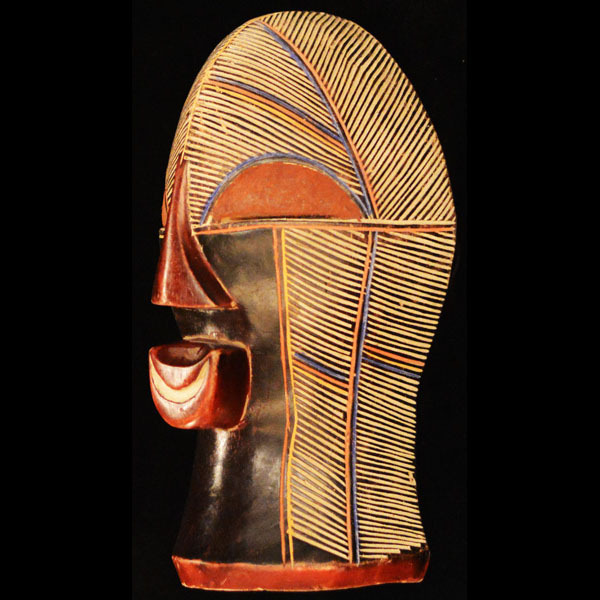 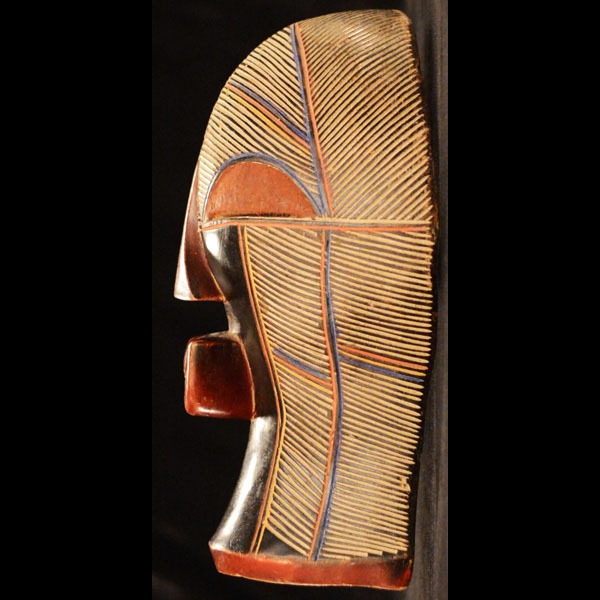 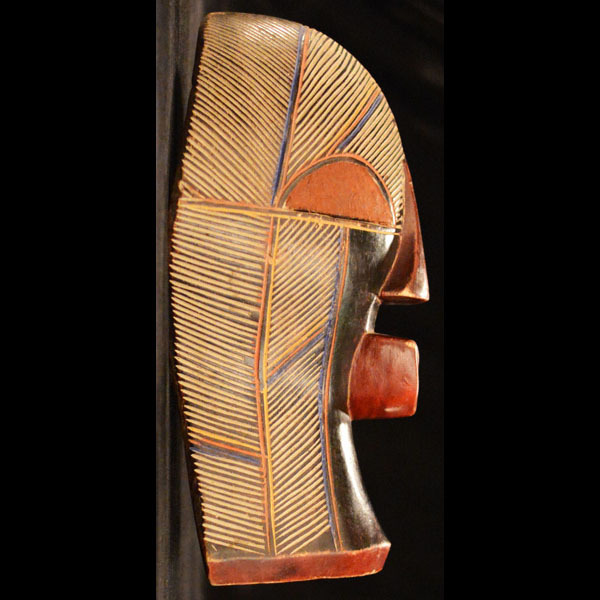 This Songye mask is hand-carved of wood, and painted in richly detailed colors, giving it a lustrous patina.